Specialized engineering assistance, complex thermoplastic material development, injection molding, finishing, contract manufacturing, and commitment to total quality management. Ferriot Inc. is a full-service provider of enclosures and encasements for medical equipment. With more than 30 years of demonstrated experience in this sector, Ferriot’s engineering team understands the sophisticated demands of an industry with a high degree of oversight. Our engineers can design complex enclosures and develop special-purpose outer surfaces for whatever performance is necessary in a medical environment. We take products and components from concept to finished manufacturing — starting with mold design and engineered resin selection, to finished product production, complete with decorative finishes and branding. Our total quality-management program ensures documented inspections and traceability by lot when required. See our case studies to learn more about the unique Ferriot solutions for medical device makers. 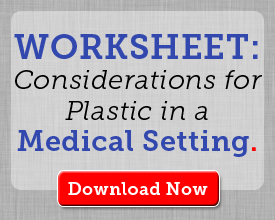 Which Medical Injection Molding Technology Is Right for You? To get started, read the statements and check the box that best describes what you need. Then, read the accompanying description of the injection molding technology below. When you are ready to discuss your project further, call us at (330) 786-3000. Contract Manufacturing allows medical OEMs to focus on their core competencies and let another company perform the details of the actual product build. Each injection molding project has its own unique set of challenges, such as choosing a resin that balances high performance with the unique demands of the medical industry: compliance to FDA approval, rigorous inspection, lot traceability and more. Although there is no single “right” approach to selecting a resin for your next injection molding project, here are some tips and tricks that can simplify the process, as well as some traps to avoid. Copyright © 2019 Ferriot Inc. All Rights Reserved.